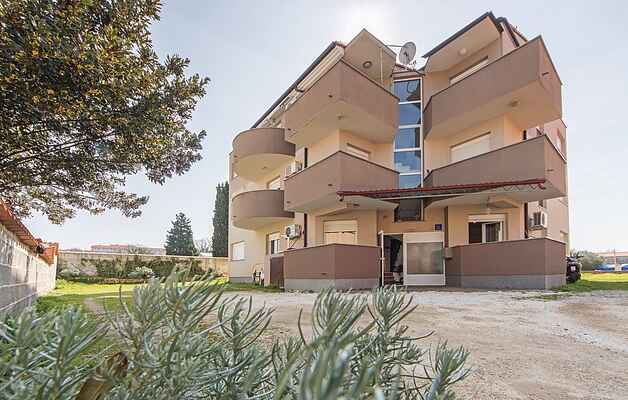 The beautiful holiday apartment is located in the town of Medulin, on the ground floor of a residential building and has a terrace with outdoor grill. Carefully selected furniture gives a pleasant living ambience. In the popular tourist town of Medulin there are many restaurants, souvenir shops and leisure activities, where you can participate in the vibrant summer life. Discover the underwater world while snorkeling or with a diving school. On various cycling routes you have the opportunity to explore the area and to visit archaeological finds from the Middle Bronze and Iron Age.